Space is big. So big, in fact, that despite what many school-books illustrate, it’s almost impossible to draw the Solar System to scale. As Bill Bryson once explained, even if we made a diagram where the Earth was scaled down to the size of a pea, Jupiter would be 30 metres away, and Pluto would be 2.5 kilometres further still. 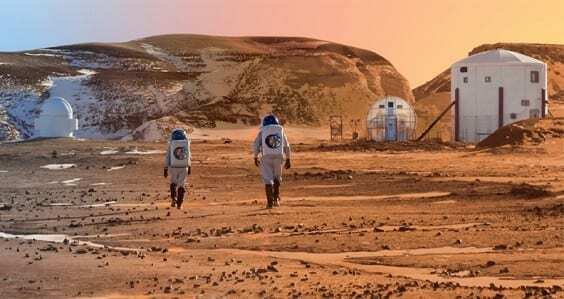 Before you start feeling incredibly small and insignificant, planetary scientists from Curtin University and universities across Australia have recently come together in a global partnership called SSERVI – the Solar System Exploration Research Virtual Institute – to find out more. SSERVI is a NASA initiative that enables planetary scientists in Australia and around the world to strengthen and collaborate scientific research to help better understand our Solar System and advance human exploration of space. Scientists partnered with SSERVI also have access to NASA’s mission designs and concepts from the initial stages, enabling them to be involved in talks with the US teams to put those missions together. Founder of the Desert Fireball Network (DFN) and ARC Laureate Fellow in the Department of Applied Geology in the WA School of Mines Professor Phil Bland, is the director of SSERVI’s Australian branch. He is excited to see the opportunities that could arise for the nation’s science community. 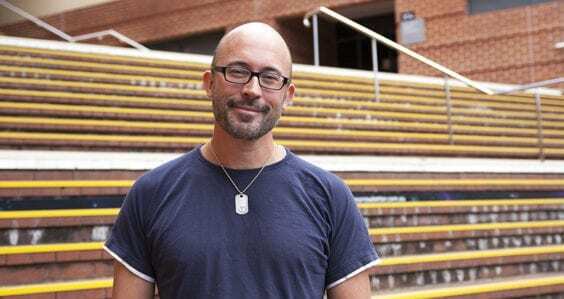 “Australia didn’t have a formal partnership [with NASA], so SSERVI seemed like a great opportunity – to benefit from that relationship with NASA as well as be a mechanism whereby planetary scientists can come together (and show the world that we’re a large and growing community), without it being badged as a single institution,” he says. For Professor Bland, SSERVI has already proved advantageous. 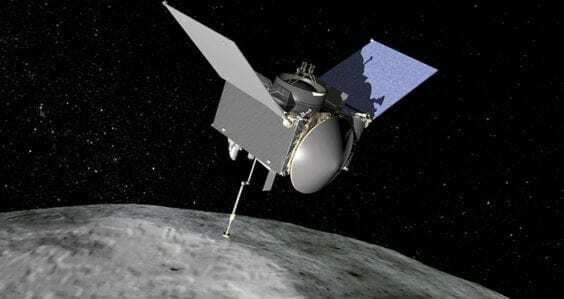 He travelled to the US in September this year as part of NASA’s OSIRIS-REx mission to sample an asteroid and return it to Earth. 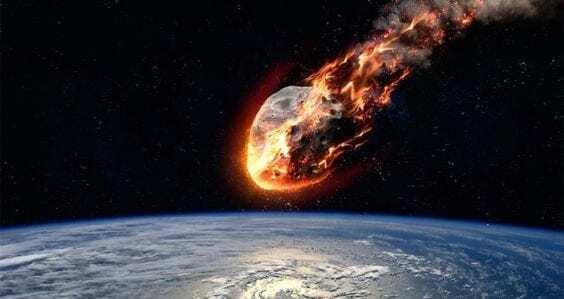 Asteroids are the left over debris from the Solar System formation process, and can tell us about the evolution of our planet. 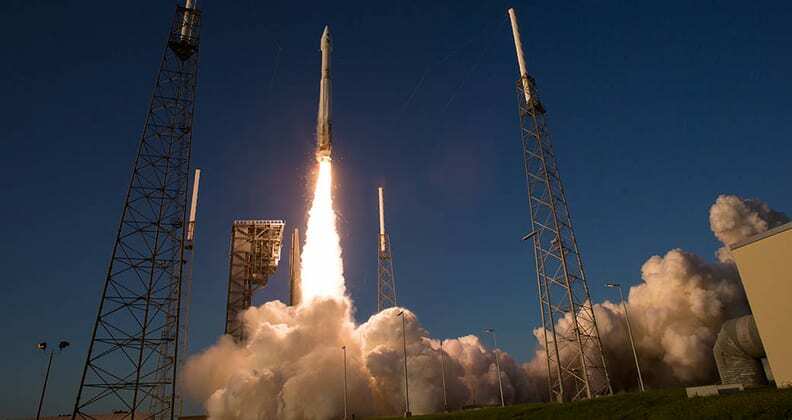 “You can’t really come up with a more iconic image of human exploration than a rocket launch,” says Professor Bland on witnessing the departure of OSIRIS-REx. The space rocket carrying NASA’s OSIRIS-REx spacecraft lifts off. Photo Credit: NASA/Joel Kowsky. Together with Trevor Ireland from the Australian National University, Professor Bland will analyse samples collected from the asteroid when the spacecraft returns to Earth in 2023. Doctor of Philosophy student in the Department of Applied Geology in the WA School of Mines Ellie Sansom, is not unfamiliar with tracking spacecraft. She works with Professor Bland in the DFN, and was part of the Cygnus 0A6 Re-entry Observation Campaign to study the re-entry and demolition of the supply ship Cygnus 0A6 in June. The Cygnus 0A6 was responsible for delivering three tonnes of experimental equipment and supplies to the astronauts aboard the International Space Station (ISS) in March 2016. Sansom measured the sky brightness of the capsule as it broke apart in the atmosphere on its return to Earth on 22 June 2016. It created an impressive horizon-to-horizon meteor across the South Pacific Ocean, which Sansom photographed. Examining the physics of de-orbit and uncontrolled re-entry of spacecraft will help inform the eventual decommissioning of the ISS in 2020. Sansom says SSERVI is a great platform for scientists to share their diverse research projects, and provides potential collaboration opportunities. From spaceships to space rocks, Stephanie D Montalvo is another SSERVI member who completed her master degree under Curtin Science and Engineering Senior Research Fellow Aaron Cavosie, and examined how shocked zircons can help uncover the earliest origins of life on Earth. She is now continuing this research in her PhD supervised by Professor Steven Reddy. 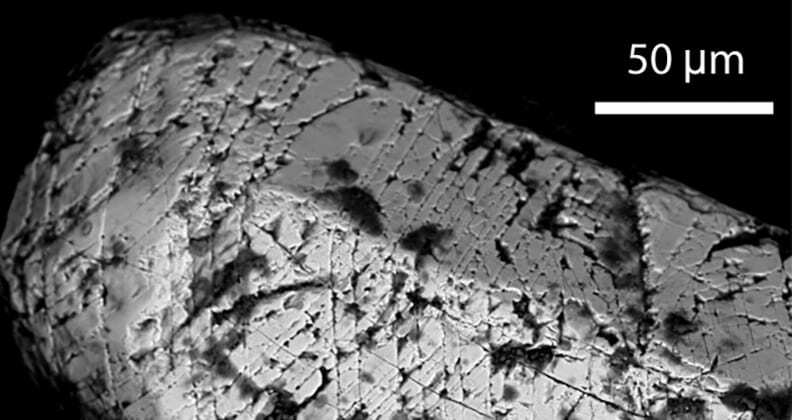 Zircons are highly durable microscopic crystals, and can preserve evidence of asteroid impacts billions of years old. They can withstand temperatures of more than 2000 degrees Celsius, and are so tiny they are smaller than the width of a strand of hair. A detrital shocked zircon from the Vaal River in South Africa. Image credit: Aaron Cavosie. Originally from Puerto Rico, Montalvo jumped at the opportunity to access the University’s high-tech geology instruments that would allow her to study the tiny crystals. But how does one even begin to look for something so small? The SSERVI community shares these scientific results and others through meetings in virtual space. It also engages local communities with public science events and projects. Fireballs in the Sky, for example, is a citizen-science project of the DFN and is open to anyone in the world with a smart phone and a hankering to hunt fireballs. 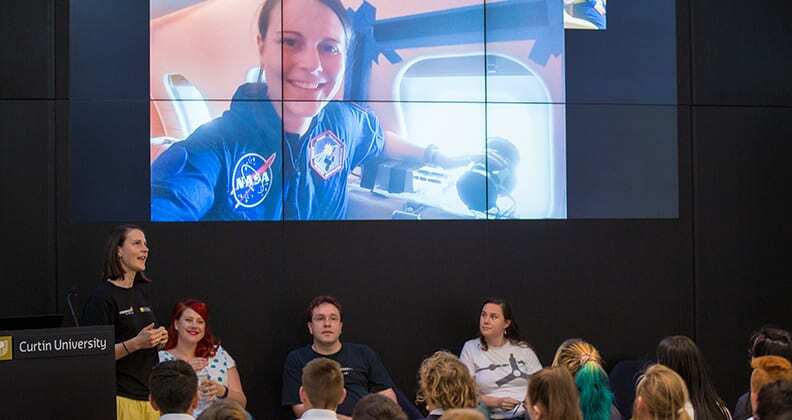 SSERVI Australia also recently held a workshop with secondary students from Ashdale College where they could learn more about planetary science and discover the career opportunities available. Ellie Sansom talks to students from Ashdale College about working with NASA. Photo credit: Sam Proctor. SSERVI Australia is about strengthening the nation’s planetary research and extending collaborations with the international science community. 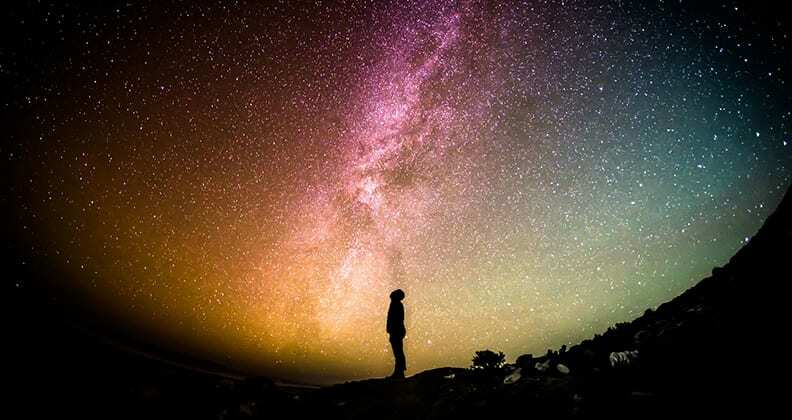 So at least if the Universe is big, we are now less alone in our endeavour to explore it. Discover current SSERVI Australia research projects. The Desert Fireball Network recently recovered a meteorite shaped like a ‘squished brick’ from a WA farm on Halloween. Good story, interesting, informative and concise.